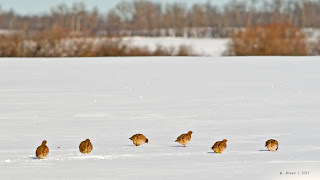 Today I had a few hours to ride the range roads east of Edmonton. The sun was out, the recent cold snap receded. 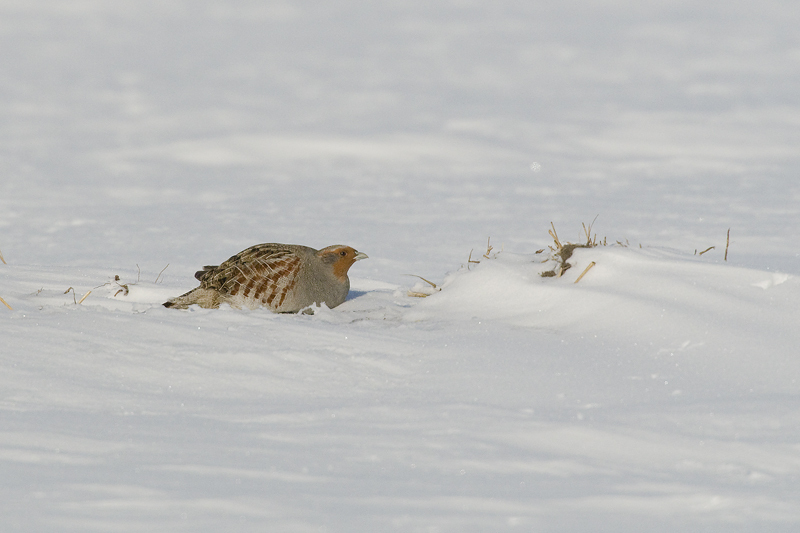 A lovely day for partridges, though they were not an intentional target bird. 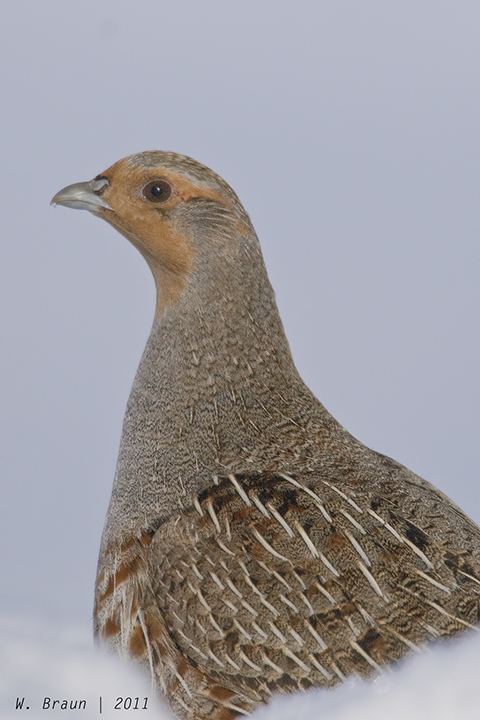 I was lucky enough to run into several coveys ranging from a group to six to one that numbered about 20. 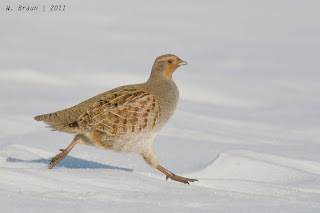 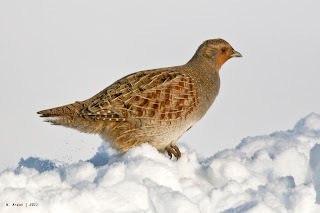 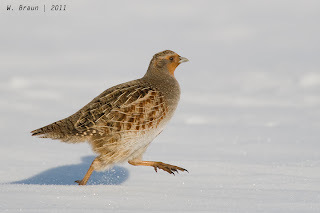 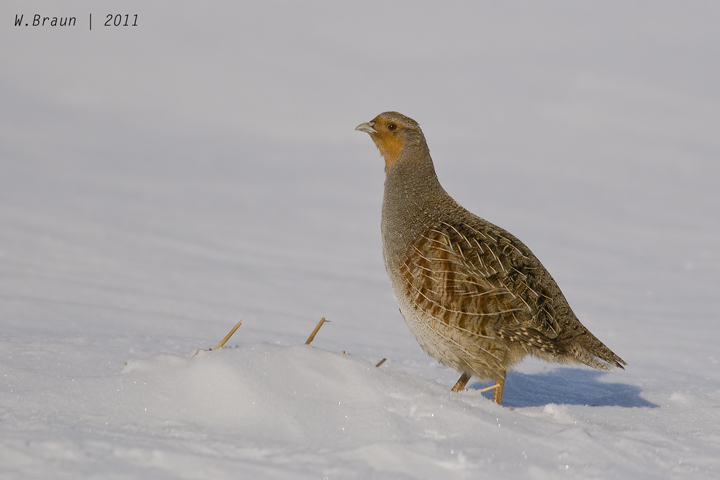 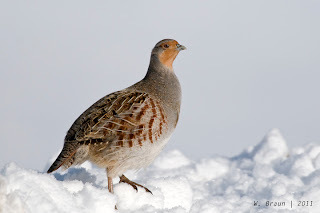 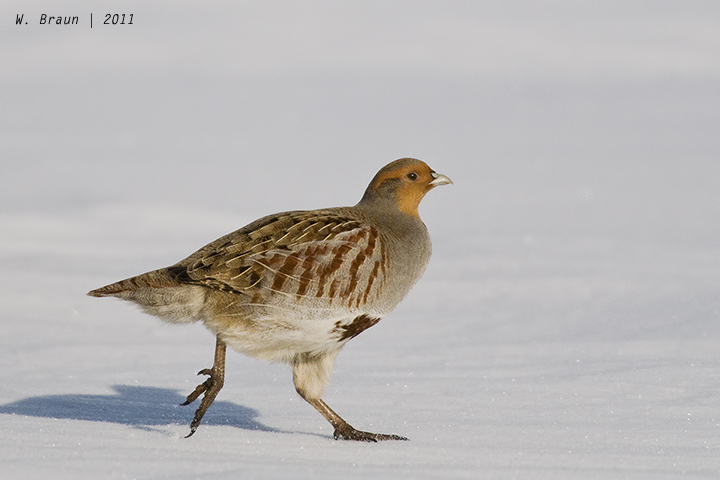 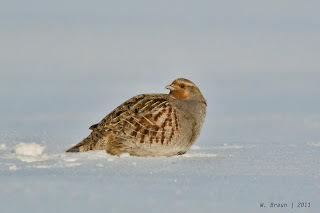 The Gray Partridge (Perdix perdix) is a grayish-brownish partridge, a bit larger than a quail. 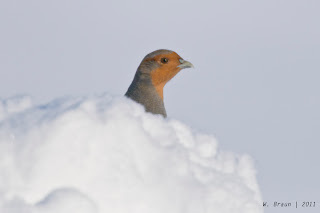 It has a rusty face and chestnut bars on the sides. 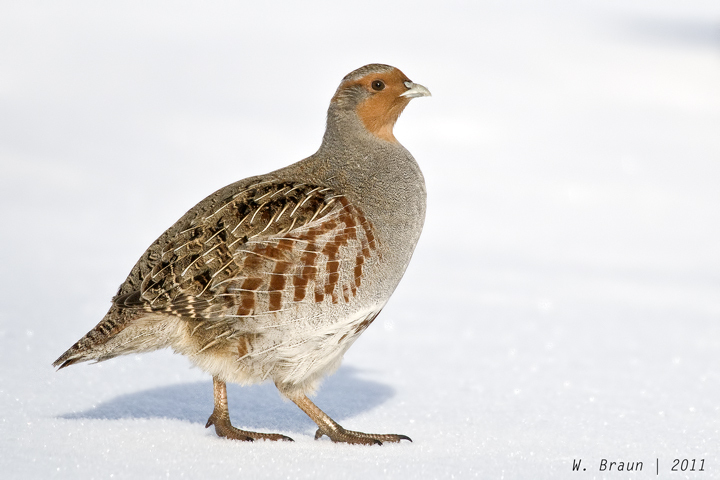 Both sexes are nearly identical, but the adult male has a distinct horseshoe-shaped, chestnut patch on its breast. When flushed, it displays a short rufous tail. 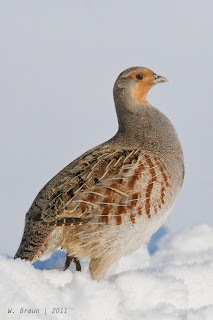 A native of the bush plains of Europe and western Asia, the species was introduced to central and southern Alberta in 1908 for hunting purposes. 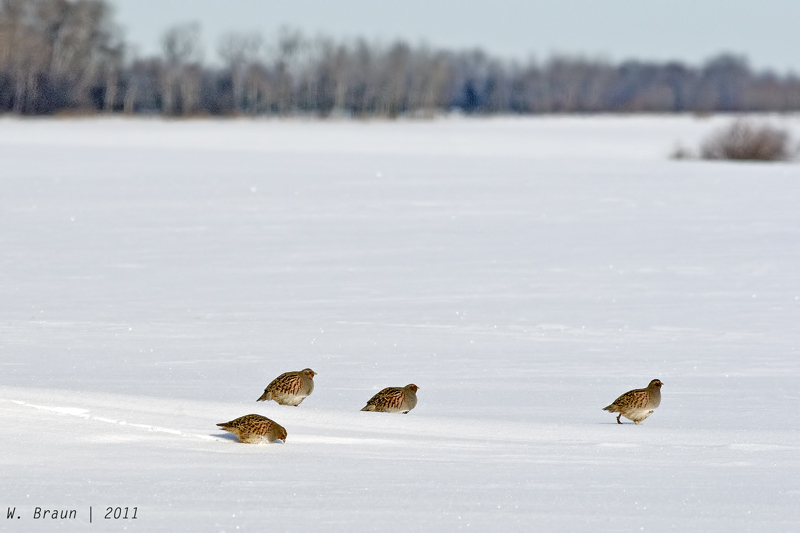 Perhaps it came from Hungary; its alternate name is Hungarian Partridge, often abbreviated to Hun – as in a covey of huns. It is now well-established in the prairies and parklands of Alberta. The gray partridge is well-suited to prairie winters, using windbreaks and straw piles for shelter, and foraging on stubble fields of grain especially during the winter months. 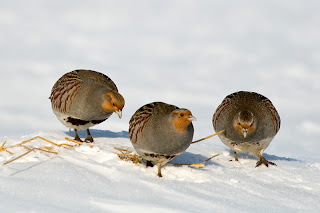 They feed also insects during the summer months, as well as green leaves, shoots, and buds.